There are some laudable options in the small luxury sedan segment, but if you’re looking for a vehicle that inspires passion near New Smyrna Beach, the new Alfa Romeo Giuilia sedans may be just what you’ve been looking for. Now offered with advanced technology like Apple CarPlay™ and Android Auto™, this compact luxury car serves up robust performance numbers under the hood and your choice of RWD or AWD. It reflects its sporty capabilities with a sleek, imposing, and aerodynamic exterior that will make a serious impression in Daytona Beach. 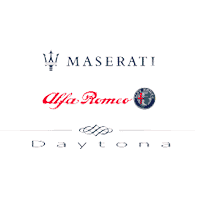 If you’re interested in financing the new Alfa Romeo Giulia sedan, then make your way from Jacksonville to Maserati Alfa Romeo of Daytona, where we have plenty of trim and performance options available, as well as an ever-changing lineup of new vehicle specials. Our sales team is at your service seven days a week, can you can reach us at (386) 523-1616. While you’re here, check out our comparison between the Alfa Romeo Giulia and the Alfa Romeo Giulia Quadrifoglio. 2018 Alfa Romeo Giulia Red RWD 8-Speed Automatic I4THIS VEHICLE INCLUDES THE FOLLOWING FEATURES AND OPTIONS: 4-Wheel Disc Brakes, 8 Speakers, ABS brakes, Air Conditioning, Alloy wheels, AM/FM radio, Auto-dimming Rear-View mirror, Automatic temperature control, Brake assist, Bumpers: body-color, Compass, Delay-off headlights, Driver door bin, Driver vanity mirror, Dual front impact airbags, Dual front side impact airbags, Electronic Stability Control, Exterior Parking Camera Rear, Four wheel independent suspension, Front anti-roll bar, Front Bucket Seats, Front Center Armrest, Front dual zone A/C, Front reading lights, Fully automatic headlights, Garage door transmitter, Heated door mirrors, High intensity discharge headlights: Bi-Xenon, Illuminated entry, Knee airbag, Leather Seats, Leather steering wheel, Low tire pressure warning, Occupant sensing airbag, Outside temperature display, Overhead airbag, Overhead console, Panic alarm, Passenger door bin, Passenger vanity mirror, Power door mirrors, Power driver seat, Power passenger seat, Power steering, Power windows, Radio data system, Radio: AM/FM w/Bluetooth 6.5, Rain sensing wipers, Rear anti-roll bar, Rear fog lights, Rear Parking Sensors, Rear reading lights, Rear seat center armrest, Rear window defroster, Remote keyless entry, Security system, Speed control, Speed-sensing steering, Speed-Sensitive Wipers, Split folding rear seat, Steering wheel mounted audio controls, Tachometer, Telescoping steering wheel, Tilt steering wheel, Traction control, Trip computer, Turn signal indicator mirrors, and Variably intermittent wipers. 24/33 City/Highway MPGAwards:* Motor Trend Automobiles of the yearWe offer Market Based Pricing, please call to check on the availability of this vehicle. We'll buy your vehicle even if you don't buy ours. All vehicles are plus TT&L **HOME OF LIFETIME POWERTRAIN WARRANTY ON ALL NEW RAM'S! **EVERY PREOWNED VEHICLE HAS AT LEAST 7/32 OF TIRE TREAD AND AT LEAST 70% BRAKE LIFE REMAINING, OR WE WILL REPLACE IT. **12/12K MI WARRANTY ON ALL USED VEHICLES UNDER 75K MI. 2019 Alfa Romeo Giulia White RWD 8-Speed Automatic I4THIS VEHICLE INCLUDES THE FOLLOWING FEATURES AND OPTIONS: 4-Wheel Disc Brakes, 8 Speakers, ABS brakes, Air Conditioning, Alloy wheels, AM/FM radio, Auto-dimming Rear-View mirror, Automatic temperature control, Brake assist, Bumpers: body-color, Compass, Delay-off headlights, Driver door bin, Driver vanity mirror, Dual front impact airbags, Dual front side impact airbags, Electronic Stability Control, Exterior Parking Camera Rear, Four wheel independent suspension, Front anti-roll bar, Front Bucket Seats, Front Center Armrest, Front dual zone A/C, Front reading lights, Fully automatic headlights, Garage door transmitter, Heated door mirrors, High intensity discharge headlights: Bi-Xenon, Illuminated entry, Knee airbag, Leather Seats, Leather steering wheel, Low tire pressure warning, Memory seat, Occupant sensing airbag, Outside temperature display, Overhead airbag, Overhead console, Panic alarm, Passenger door bin, Passenger vanity mirror, Power door mirrors, Power driver seat, Power passenger seat, Power steering, Power windows, Radio data system, Radio: AM/FM w/Bluetooth 6.5, Rain sensing wipers, Rear anti-roll bar, Rear fog lights, Rear Parking Sensors, Rear reading lights, Rear seat center armrest, Rear window defroster, Remote keyless entry, Security system, Speed control, Speed-sensing steering, Speed-Sensitive Wipers, Split folding rear seat, Steering wheel mounted audio controls, Tachometer, Telescoping steering wheel, Tilt steering wheel, Traction control, Trip computer, Turn signal indicator mirrors, and Variably intermittent wipers. 24/33 City/Highway MPGWe offer Market Based Pricing, please call to check on the availability of this vehicle. We'll buy your vehicle even if you don't buy ours. All vehicles are plus TT&L **HOME OF LIFETIME POWERTRAIN WARRANTY ON ALL NEW RAM'S! **EVERY PREOWNED VEHICLE HAS AT LEAST 7/32 OF TIRE TREAD AND AT LEAST 70% BRAKE LIFE REMAINING, OR WE WILL REPLACE IT. **12/12K MI WARRANTY ON ALL USED VEHICLES UNDER 75K MI. 2019 Alfa Romeo Giulia Alfa Rosso RWD 8-Speed Automatic I4THIS VEHICLE INCLUDES THE FOLLOWING FEATURES AND OPTIONS: 4-Wheel Disc Brakes, 8 Speakers, ABS brakes, Air Conditioning, Alloy wheels, AM/FM radio, Auto-dimming Rear-View mirror, Automatic temperature control, Brake assist, Bumpers: body-color, Compass, Delay-off headlights, Driver door bin, Driver vanity mirror, Dual front impact airbags, Dual front side impact airbags, Electronic Stability Control, Exterior Parking Camera Rear, Four wheel independent suspension, Front anti-roll bar, Front Bucket Seats, Front Center Armrest, Front dual zone A/C, Front reading lights, Fully automatic headlights, Garage door transmitter, Heated door mirrors, High intensity discharge headlights: Bi-Xenon, Illuminated entry, Knee airbag, Leather Seats, Leather steering wheel, Low tire pressure warning, Memory seat, Occupant sensing airbag, Outside temperature display, Overhead airbag, Overhead console, Panic alarm, Passenger door bin, Passenger vanity mirror, Power door mirrors, Power driver seat, Power passenger seat, Power steering, Power windows, Radio data system, Radio: AM/FM w/Bluetooth 6.5, Rain sensing wipers, Rear anti-roll bar, Rear fog lights, Rear Parking Sensors, Rear reading lights, Rear seat center armrest, Rear window defroster, Remote keyless entry, Security system, Speed control, Speed-sensing steering, Speed-Sensitive Wipers, Split folding rear seat, Steering wheel mounted audio controls, Tachometer, Telescoping steering wheel, Tilt steering wheel, Traction control, Trip computer, Turn signal indicator mirrors, and Variably intermittent wipers. 24/33 City/Highway MPGWe offer Market Based Pricing, please call to check on the availability of this vehicle. We'll buy your vehicle even if you don't buy ours. All vehicles are plus TT&L **HOME OF LIFETIME POWERTRAIN WARRANTY ON ALL NEW RAM'S! **EVERY PREOWNED VEHICLE HAS AT LEAST 7/32 OF TIRE TREAD AND AT LEAST 70% BRAKE LIFE REMAINING, OR WE WILL REPLACE IT. **12/12K MI WARRANTY ON ALL USED VEHICLES UNDER 75K MI. 2019 Alfa Romeo Giulia Silverstone RWD 8-Speed Automatic I4THIS VEHICLE INCLUDES THE FOLLOWING FEATURES AND OPTIONS: 4-Wheel Disc Brakes, 8 Speakers, ABS brakes, Air Conditioning, Alloy wheels, AM/FM radio, Auto-dimming Rear-View mirror, Automatic temperature control, Brake assist, Bumpers: body-color, Compass, Delay-off headlights, Driver door bin, Driver vanity mirror, Dual front impact airbags, Dual front side impact airbags, Electronic Stability Control, Exterior Parking Camera Rear, Four wheel independent suspension, Front anti-roll bar, Front Bucket Seats, Front Center Armrest, Front dual zone A/C, Front reading lights, Fully automatic headlights, Garage door transmitter, Heated door mirrors, High intensity discharge headlights: Bi-Xenon, Illuminated entry, Knee airbag, Leather Seats, Leather steering wheel, Low tire pressure warning, Memory seat, Occupant sensing airbag, Outside temperature display, Overhead airbag, Overhead console, Panic alarm, Passenger door bin, Passenger vanity mirror, Power door mirrors, Power driver seat, Power passenger seat, Power steering, Power windows, Radio data system, Radio: AM/FM w/Bluetooth 6.5, Rain sensing wipers, Rear anti-roll bar, Rear fog lights, Rear Parking Sensors, Rear reading lights, Rear seat center armrest, Rear window defroster, Remote keyless entry, Security system, Speed control, Speed-sensing steering, Speed-Sensitive Wipers, Split folding rear seat, Steering wheel mounted audio controls, Tachometer, Telescoping steering wheel, Tilt steering wheel, Traction control, Trip computer, Turn signal indicator mirrors, and Variably intermittent wipers. 24/33 City/Highway MPGWe offer Market Based Pricing, please call to check on the availability of this vehicle. We'll buy your vehicle even if you don't buy ours. All vehicles are plus TT&L **HOME OF LIFETIME POWERTRAIN WARRANTY ON ALL NEW RAM'S! **EVERY PREOWNED VEHICLE HAS AT LEAST 7/32 OF TIRE TREAD AND AT LEAST 70% BRAKE LIFE REMAINING, OR WE WILL REPLACE IT. **12/12K MI WARRANTY ON ALL USED VEHICLES UNDER 75K MI. 2019 Alfa Romeo Giulia White Ti RWD 8-Speed Automatic I4THIS VEHICLE INCLUDES THE FOLLOWING FEATURES AND OPTIONS: 4-Wheel Disc Brakes, 8 Speakers, 8.8 Widescreen Color Display, ABS brakes, Air Conditioning, AM/FM radio: SiriusXM, Auto-dimming Rear-View mirror, Automatic temperature control, Brake assist, Bumpers: body-color, Compass, Delay-off headlights, Driver door bin, Driver vanity mirror, Dual front impact airbags, Dual front side impact airbags, Electronic Stability Control, Exterior Parking Camera Rear, Four wheel independent suspension, Front anti-roll bar, Front Bucket Seats, Front Center Armrest, Front dual zone A/C, Front reading lights, Fully automatic headlights, Garage door transmitter, Genuine wood console insert, Genuine wood dashboard insert, Genuine wood door panel insert, Heated door mirrors, Heated front seats, Heated steering wheel, High intensity discharge headlights: Bi-Xenon, Illuminated entry, Knee airbag, Leather Seats, Leather steering wheel, Low tire pressure warning, Memory seat, Occupant sensing airbag, Outside temperature display, Overhead airbag, Overhead console, Panic alarm, Passenger door bin, Passenger vanity mirror, Power door mirrors, Power driver seat, Power passenger seat, Power steering, Power windows, Radio data system, Radio: AM/FM Bluetooth 8.8, Rain sensing wipers, Rear anti-roll bar, Rear fog lights, Rear reading lights, Rear seat center armrest, Rear window defroster, Remote keyless entry, Security system, Speed control, Speed-sensing steering, Speed-Sensitive Wipers, Split folding rear seat, Steering wheel mounted audio controls, Tachometer, Telescoping steering wheel, Tilt steering wheel, Traction control, Trip computer, Turn signal indicator mirrors, Variably intermittent wipers, and Wheels: 18 x 8.0 Double Y-Spoke Aluminum. 24/33 City/Highway MPGWe offer Market Based Pricing, please call to check on the availability of this vehicle. We'll buy your vehicle even if you don't buy ours. All vehicles are plus TT&L **HOME OF LIFETIME POWERTRAIN WARRANTY ON ALL NEW RAM'S! **EVERY PREOWNED VEHICLE HAS AT LEAST 7/32 OF TIRE TREAD AND AT LEAST 70% BRAKE LIFE REMAINING, OR WE WILL REPLACE IT. **12/12K MI WARRANTY ON ALL USED VEHICLES UNDER 75K MI. 2019 Alfa Romeo Giulia Black Ti RWD 8-Speed Automatic I4THIS VEHICLE INCLUDES THE FOLLOWING FEATURES AND OPTIONS: 4-Wheel Disc Brakes, 8 Speakers, 8.8 Widescreen Color Display, ABS brakes, Air Conditioning, AM/FM radio: SiriusXM, Auto-dimming Rear-View mirror, Automatic temperature control, Brake assist, Bumpers: body-color, Compass, Delay-off headlights, Driver door bin, Driver vanity mirror, Dual front impact airbags, Dual front side impact airbags, Electronic Stability Control, Exterior Parking Camera Rear, Four wheel independent suspension, Front anti-roll bar, Front Bucket Seats, Front Center Armrest, Front dual zone A/C, Front reading lights, Fully automatic headlights, Garage door transmitter, Genuine wood console insert, Genuine wood dashboard insert, Genuine wood door panel insert, Heated door mirrors, Heated front seats, Heated steering wheel, High intensity discharge headlights: Bi-Xenon, Illuminated entry, Knee airbag, Leather Seats, Leather steering wheel, Low tire pressure warning, Memory seat, Occupant sensing airbag, Outside temperature display, Overhead airbag, Overhead console, Panic alarm, Passenger door bin, Passenger vanity mirror, Power door mirrors, Power driver seat, Power passenger seat, Power steering, Power windows, Radio data system, Radio: AM/FM Bluetooth 8.8, Rain sensing wipers, Rear anti-roll bar, Rear fog lights, Rear reading lights, Rear seat center armrest, Rear window defroster, Remote keyless entry, Security system, Speed control, Speed-sensing steering, Speed-Sensitive Wipers, Split folding rear seat, Steering wheel mounted audio controls, Tachometer, Telescoping steering wheel, Tilt steering wheel, Traction control, Trip computer, Turn signal indicator mirrors, Variably intermittent wipers, and Wheels: 18 x 8.0 Double Y-Spoke Aluminum. 24/33 City/Highway MPGWe offer Market Based Pricing, please call to check on the availability of this vehicle. We'll buy your vehicle even if you don't buy ours. All vehicles are plus TT&L **HOME OF LIFETIME POWERTRAIN WARRANTY ON ALL NEW RAM'S! **EVERY PREOWNED VEHICLE HAS AT LEAST 7/32 OF TIRE TREAD AND AT LEAST 70% BRAKE LIFE REMAINING, OR WE WILL REPLACE IT. **12/12K MI WARRANTY ON ALL USED VEHICLES UNDER 75K MI. 2019 Alfa Romeo Giulia Gray RWD 8-Speed Automatic I4THIS VEHICLE INCLUDES THE FOLLOWING FEATURES AND OPTIONS: 4-Wheel Disc Brakes, 8 Speakers, ABS brakes, Air Conditioning, Alloy wheels, AM/FM radio, Auto-dimming Rear-View mirror, Automatic temperature control, Brake assist, Bumpers: body-color, Compass, Delay-off headlights, Driver door bin, Driver vanity mirror, Dual front impact airbags, Dual front side impact airbags, Electronic Stability Control, Exterior Parking Camera Rear, Four wheel independent suspension, Front anti-roll bar, Front Bucket Seats, Front Center Armrest, Front dual zone A/C, Front reading lights, Fully automatic headlights, Garage door transmitter, Heated door mirrors, High intensity discharge headlights: Bi-Xenon, Illuminated entry, Knee airbag, Leather Seats, Leather steering wheel, Low tire pressure warning, Memory seat, Occupant sensing airbag, Outside temperature display, Overhead airbag, Overhead console, Panic alarm, Passenger door bin, Passenger vanity mirror, Power door mirrors, Power driver seat, Power passenger seat, Power steering, Power windows, Radio data system, Radio: AM/FM w/Bluetooth 6.5, Rain sensing wipers, Rear anti-roll bar, Rear fog lights, Rear Parking Sensors, Rear reading lights, Rear seat center armrest, Rear window defroster, Remote keyless entry, Security system, Speed control, Speed-sensing steering, Speed-Sensitive Wipers, Split folding rear seat, Steering wheel mounted audio controls, Tachometer, Telescoping steering wheel, Tilt steering wheel, Traction control, Trip computer, Turn signal indicator mirrors, and Variably intermittent wipers. 24/33 City/Highway MPGWe offer Market Based Pricing, please call to check on the availability of this vehicle. We'll buy your vehicle even if you don't buy ours. All vehicles are plus TT&L **HOME OF LIFETIME POWERTRAIN WARRANTY ON ALL NEW RAM'S! **EVERY PREOWNED VEHICLE HAS AT LEAST 7/32 OF TIRE TREAD AND AT LEAST 70% BRAKE LIFE REMAINING, OR WE WILL REPLACE IT. **12/12K MI WARRANTY ON ALL USED VEHICLES UNDER 75K MI.